Let me start off by saying that while this book wasn’t necessarily my favourite, that doesn’t mean it was a bad book. In fact, it was wonderful. However, it’s difficult for me to relate to characters when I have hardly anything in common with them. This story centers around a woman named Nadezhda (Nadia, for short), a Ukrainian immigrant who left her only daughter to move to the United States. They were supposed to immigrate together, but after waiting years, her daughter, Larisska (also referred to as Larissa), was legally too old to immigrate as a child, and Nadia made the difficult decision to go on without her in hopes of bringing Larisska over soon after settling into her new life. Mother Country is told in both past and present. It flips back and forth between Nadia’s life in America where she works multiple jobs to support both herself and her family back home, and her past life in war-town Ukraine/Soviet Union (depending on the year). We see the hardships she endured growing up, how she raised her daughter, and how far she pushes herself in order to be reunited with Larisska, regardless of how much time has passed. At its core, Mother Country is a story about what it means to be a mother: the sacrifices you make for your children, the lengths you will go to do what you think is best for them, and the difficult decisions you must make in order to create a better life for your entire family. The story also touches on themes of immigration, and adjusting to life in a new country and culture. The backdrop for the story centers around political tension back home in Nadia’s mother country. In 2014, Ukraine’s president fell from power, and Russia stepped in. Military sanctions were put in place, and the Ukrainian territory of Crimea was annexed back to Russia. I briefly remembered hearing about these events when they happened, but found myself Googling more information as I read about it in this book. I’m not a mother or an immigrant, and I’ve never lived in an area experiencing civil conflict. As a result, I found it difficult to relate to Nadia and her story. However, I appreciated the narrative, and respected the story. While Mother Country is a piece of fiction, its underlying themes are very real, and many people around the world experience them everyday. It provides an insightful look into the experience’s of others, and is important to read and reflect on. 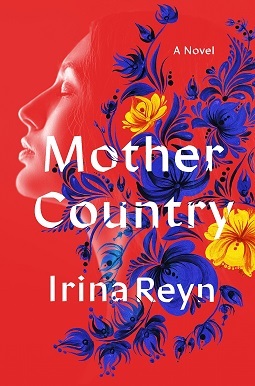 Mother Country will be available on February 26, 2019, and can be bought wherever books are sold. Thank you to the publisher for an electronic copy of this book via NetGalley.